Cape Town Electronic Music Festival has quickly become the holy grail of electronic music culture. A beacon of light in the hazy rooms filled with shuffling feet and the ebbing sea of rhythmic kicks. This year was most certainly a lithe, writhing, and sweaty affair. City hall was on fire and there was nowhere to could go in an effort to escape that. Staying hydrated was never more important because the artists kept everyone moving until way, way past bedtime. Day two is arguably always the best day. It's a whole day of music. I had people recanting stories of how blurry the night before was, how smothered in music they felt - I mean the heat obviously brought on hallucinations and that must be what caused these intense feelings. To be honest, the second day was my favourite: Moonchild, and Zaki Ibrahim were standout performances for me. In my opinion, it's not often enough that we get to see these artists present their performances on stages that are adequate in size. Ryan Hemsworth's set - complete with Studio Ghibli visuals - made me stand still in amongst the ruckus just to appreciate what was going on. The best night; day two is dear to me! By the time the third day had kicked into gear it already felt like a comedown. It wasn't the hard, frantic energy of the previous nights. Definitely a feeling of relief but barbed with the realisation that it was ending. Nobody held back - the rave was no less fun - people gyrating and sweating buckets! 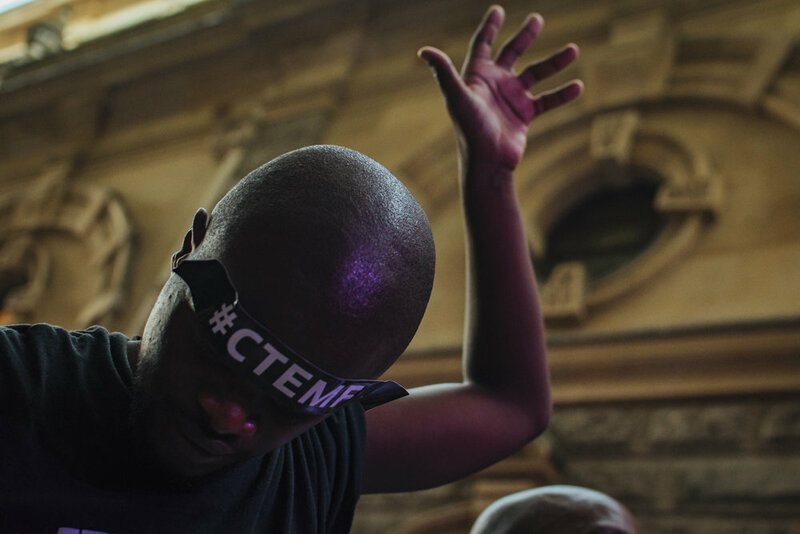 The way that CTEMF fills city hall is a wonder. A space that feels so regal and formal is brought to life with music, lights, and energy that doesn't feel displaced as much as it is lively (#SONA17, hey) and that's the mystique of the festival - it gives you the chance to explore a space without needing to settle your traffic fine.